Glucose-6-phosphate dehydrogenase (G6PD) deficiency is the most common human enzyme defect and one of the most common genetic disorders worldwide, with an estimated 400 million people worldwide carrying a mutation in the G6PD gene that causes deficiency of the enzyme. Although drug-induced haemolysis is considered the most common adverse clinical consequence of G6PD deficiency, significant confusion exists regarding which drugs can cause haemolytic anaemia in patients with G6PD deficiency. In the absence of consensus among physicians, patients are subject to conflicting advice, causing uncertainty and distress. In the current review we aimed, by thorough search of the medical literature, to collect evidence on which to base decisions either to prohibit or allow the use of various medications in patients with G6PD deficiency. A literature search was conducted during May 2009 for studies and case reports on medication use and G6PD deficiency using the following sources: MEDLINE (1966–May 2009), PubMed (1950–May 2009), the Cochrane database of systematic reviews (2009), and major pharmacology, internal medicine, haematology and paediatric textbooks. After assessing the literature, we divided medications into one of three groups: medications that should be avoided in individuals with G6PD deficiency, medications that were considered unsafe by at least one source, but according to our review can probably be given safely in normal therapeutic dosages to individuals with G6PD deficiency as evidence does not contravene their use, and medications where no evidence at all was found to contravene their use in G6PD-deficient patients. It is reasonable to conclude that, over time, many compounds have been wrongly cited as causing haemolysis because they were administered to patients experiencing an infection-related haemolytic episode. 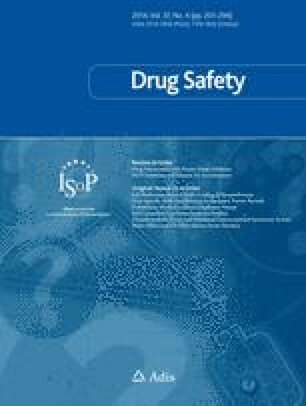 We found solid evidence to prohibit only seven currently used medications: dapsone, methylthioninium chloride (methylene blue), nitrofurantoin, phenazopyridine, primaquine, rasburicase and tolonium chloride (toluidine blue). Regarding all other medications, our review found no evidence to contravene their use in normal therapeutic doses to G6PD-deficient patients. There is a need for evidence-based global consensus regarding medication use in G6PD-deficient patients. The authors state that no financial support or author involvement with organizations with financial interest in the subject matter exists, and that no actual or potential conflict of interest exists. The first two authors contributed equally to the design and implementation of the study.